Mark Ford – Escaping The Rat Race And The Nine To Five Lifestyle With An Affiliate Marketing Lifestyle Opportunity & Home Business. Yesterday I wrote another article in my series of articles about the various lifestyle opportunities that are out there once we decide to leave our nine to five ‘just over broke’ job. Click here to read yesteday’s coffee shop lifestyle post. Today I continue with the next lifestyle blog in the series covering the affiliate marketing lifestyle opportunity. Before I get into discussing the affiliate marketing lifestyle opportunity in more depth, it is worth noting that rather than purely rely on affiliate income you can also make your money by promoting and selling products under licence, as an affiliate and by developing and selling your own products. 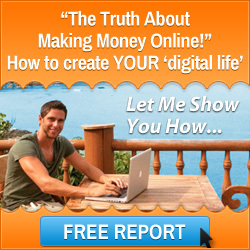 Maximise your income this way! That said, lets get into it… you are considering a change of lifestyle, you want to quit your job and consider working from home as an affiliate marketer promoting other people’s products for a commission, which basically is what it is. The Affiliate Marketing Lifestyle Opportunity – Some Pointers And Tips! Affiliate Marketing Tips – Some Pointers! 1. The best and easiest way to start online. The affiliate does not need to own a product, does not need to provide customer support, no merchant account, no refunds or returns to deal with, no employees required and no headaches. 2. You have an affiliate and a merchant. 3. The affiliate is the pre-seller and has a website, a newsletter or a list that enables traffic to be driven to the retailers’ website in return for a commission. The product owner deals with everything and the affiliate takes a large proportion of the actual sale. 4. The retailer uses an affiliate program as a form of traffic generation to their website. 5. The income can be recurring by promoting products that pay you every month or because everything is automated it feels like it is recurring income even if you are attracting new customers once in a while. 6. The income can also be generated from driving traffic to a retailer’s website who pays for the lead even if the prospect does not buy anything. This is cost per action. 7. Pick a niche market by going through the same project ideas and market research stages as if you were developing your own product. 8. Build a tiny website, drive traffic to the website, low start up costs just paying for domain and traffic generation when testing the website. 9. A good idea is to become an affiliate and promote other people’s products before developing your own products as this allows you to test the niche out. You can then go on and build a product in that market later. DO THIS!!! 10. Choose and register a domain name relevant to the niche you are working in. 11. Go to your affiliate program and pick a product to promote – typically look for high % commissions paid. 12. Put up a quick simple website, release a newsletter or email your list. 13. Do a bit of marketing to turn the traffic on, keep the traffic up, get it automated and move onto the next project to set up recurring income. The objective is to set up many websites promoting the affiliate link which takes the prospect through to the retailers’ website who deals with the sale. a) Large content sites (Catalogue sites) – 100 plus pages of content and information you have written. This is not the best way to start as you are looking to get going quickly. Creating a good large content site from scratch is just like creating a product. It takes a long time and it is a lot of work. You are reading this lifestyle blog post on a large content site published by Mark Ford. At the time of writing this post this website has been 3 and a half years in the making and is developed by adding content everyday. So, as I say it takes a lot of time and work but it is good to have this type of site as a part of the overall mix of websites in your network. Only put up this type of site if you know the niche is a good one. Even on a large website get their name and email in return for a free eBook or report. Write a simple little review. Tell them the price, the benefits, why they should do it within a couple of bullet points. Put 2, 3, or 4 products on the same page to test them to see which sells the most. Move them around the page changing which one appears above the other. Once you know leave it alone and let the merchant do the work. Own lists in multiple niches so that any time you need money, find a product, write a promotion and hit the send button to send the email. When a new product comes out for the niche market you can blast an email out to your list. You can, if you want to, add more content such as a blog to generate more traffic. The best way to start is using opt in sites using for example ezines and newsletters. An opt in site has two purposes; opt in to find out more or go away. Get their name and email in return for a free eBook or report. Send the traffic to the opt in site and then send it to the content site or sales page. After they have opted in rather than send them to the thank you for subscribing page (send them a thank you in an email) send them to a sales page that contains your affiliate link. Build your list. The money is in the list. 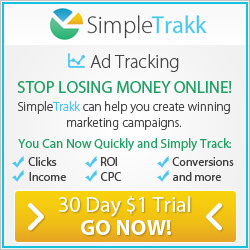 Send all traffic to a standalone opt in web page. Upload all messages into Aweber. You start by just putting up a small one page opt in website but you can, if you want, start to build it up slowly to get search engine traffic by adding blogs to the site or content. d) Avoid at all costs letting the world know where your thank you page is to download the product for free. 17. The real key is in driving traffic to the website. 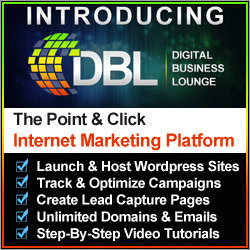 If you don’t know how to get targeted traffic to your web business you don’t have an online business. No traffic equates to no money. 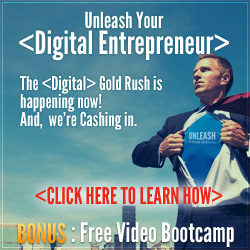 To learn about how to this I recommend to you the same online marketing training centre that I use daily. Well Mark that’s great information. What can I do now to learn more?.. well, thanks for asking, here’s what options you have. First of all you can get a free video affiliate marketing series about escaping the rat race and learning how to be a professional affiliate marketer selling the same product line that Mark Ford promotes and highly recommends. Let me introduce you to someone who has been a tremendous help to me in building my own affiliate marketing business > Stuart Ross. Thought for the day: Your children do the nicest things. My son turned up this morning as a surprise to cut my grass and do my garden, as he is a landscape gardener. The funny thing is he caught me in the shower as working from home enables us to get up when we want and work later in the day if we want. This entry was posted in Affiliate Marketing, Choose Home Business, Start Home Business and tagged affiliate marketing home business, affiliate marketing lifestyle opportunity, affiliate marketing opportunity, choose home business, start home business. Bookmark the permalink. This post is very informative Mark. Thanks for sharing! Great post about the superb business model that is affiliate marketing Mark. You’ve done a really comprehensive job of covering what’s involved and how best to get started. Thanks for this.